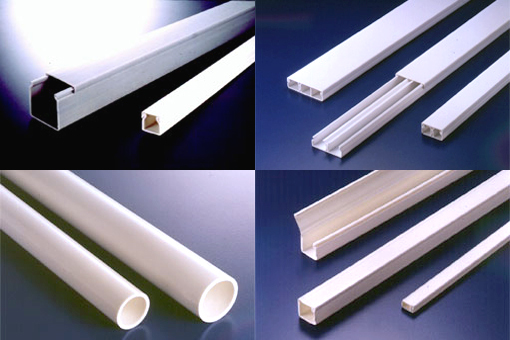 KAI SUH SUH Enterprise Co., Ltd. is a highly-qualified, Taiwan-based supplier and manufacturer of PVC or flexible wiring ducts and other ralated products. Kai Suh Suh has been recognized as one of the professional manufacturers in the industry since 1969. With both experience and innovation, KSS is confident in providing buyers with quality products. Wiring ducts cover, also known as cable duct, is utilized for wire and cable protection within electrical enclosure. Perfectly used for cable management to encase electrical wire or rope, the wiring ducts from KSS are made of high impact, self-extinguishing, warp-proof PVC to guarantee safety criteria. Additionally, the other KSS’s wiring accessories products feature open slot and closed slot design, ensuring cable protection under different situation. KSS is a leading manufacturer in Asia of cable accessories including cable ties, wiring ducts, cable markers, Kabelbinder, cable glands and so. With 4 branches office in Taiwan serving more than 20,000 accounts in Taiwan locally and 108 countries in the world, KSS is confident in its ability to provide satisfaction through its wiring related products and services to meet your needs. www.allproducts.com/ee/kss and feel free to contact us for more details.